For many people, the neck is one of the first places where visible signs of aging start to develop. While the neck and face both contribute to your overall facial appearance, the neck is all too often neglected when it comes to preventative maintenance until it is too late. 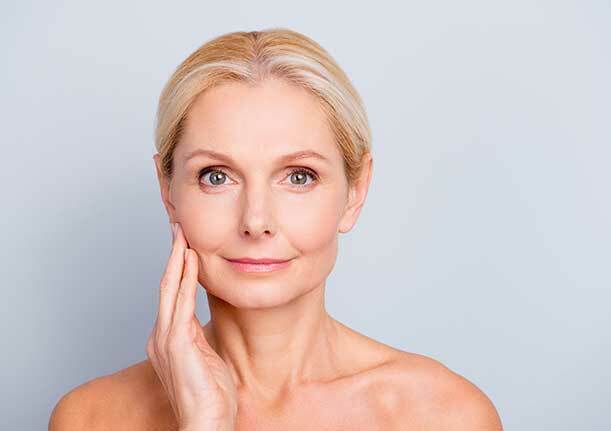 Loose skin, such as neck wattles, puffiness and lines all result from the effects of day-to-day living as the skin and its underlying structures start to break down under the pressures of age, gravity, sun damage and stress. A neck lift procedure is specifically designed to restore the youthful contours of the neck and enhance your overall appearance. The effects of a neck lift are long-lasting and can easily take five to 10 years off your appearance. At Niche Plastic Surgery, our staff of specialist plastic surgeons have ample experience in providing customised care and delivering the results you desire. Read on to get a general overview of how a neck lift works and the types of results you can expect. Neck contouring procedures vary in technique, method and results. For these reasons, it’s important to ensure the doctor you choose has the training and experience necessary to deliver quality results. The doctors at Niche Plastic Surgery are all specialist plastic surgeons who strive to provide a customised treatment experience that addresses your personal goals and desired outcome. A mini-neck lift procedure is designed to remove fatty tissue and tighten or remove excess skin. If you’ve started to notice a neck wattle forming, a mini-lift offers the ideal solution. In effect, mini- and traditional neck lifts differ in that not much is done with the muscles that make up the neck for a mini lift. Instead, the overall procedure entails removing fatty tissue around the chin and neck areas and pulling excess skin upwards. Since this option is less invasive, the incision is smaller and recovery times tend to be quicker. Considering how the neck and face all work together to create your overall facial appearance, it’s not uncommon for patients to combine a neck lift procedure with one or more facial enhancements. Combination procedures help create a naturally balanced appearance in cases where minor adjustments may be needed. At Niche Plastic Surgery our doctors work with you to design a personalised treatment plan that matches your needs and goals. What’s Involved with a Neck Lift Procedure? A neck lift procedure typically lasts from two to three hours depending on the areas targeted, and uses either a local anaesthetic with a sedative or general anaesthetic. The procedure itself only requires small incisions under the chin and behind the ears and occasionally extending just in front of the ear. From there, the surgeon can perform liposuction, tighten up slack muscles and address any other target areas. Once completed, sutures are used to close up the incisions and any excess skin will be pulled taut or removed. As with any other form of invasive surgery, the body requires rest and time to heal, so expect at least one to two weeks of downtime. This means bed rest for the first few days along with prescription pain meds to relieve any pain or discomfort. Upon returning to work, you’ll need to avoid any form of strenuous activity and abstain from exercise and heavy lifting for at least three more weeks. Your surgeon will schedule follow-up appointments throughout your recovery period to ensure all is going as expected. Niche Plastic Surgery has provided quality cosmetic enhancements for more than three decades. Call us here on 9853 9705 to schedule a consultation with one of our surgeons and find out if a neck lift procedure is right for you.